The Privateers left Maestri Field last Sunday with a 9-15 overall record and a 2-7 league record, facing a 10-game road trip that threatened to completely unravel their season. After claiming the Pelican Cup at Tulane this evening, the Privateers are now 5-0 on that road trip, with a conference series looming at cellar-dwelling 6-22 Lamar this weekend. 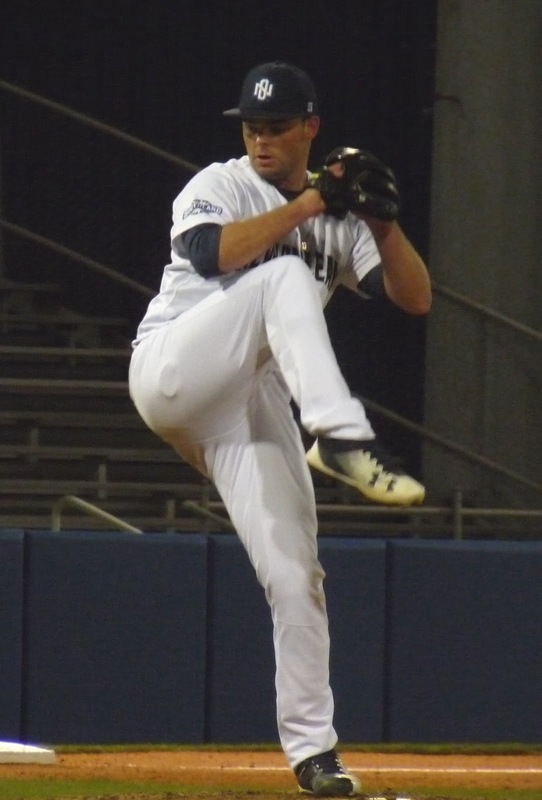 For the second time in two games against the Wave, the Privateers won on a wild pitch in the ninth inning. This time, it was a lower scoring affair that ended 3-2 in favor of the silver and blue. The road trip began with a quality 8-2 victory in Mobile over a solid South Alabama team. It continued in Corpus Christi over the weekend, where UNO took the first game 13-8, the second game 2-0, and rallied from three runs down to complete the sweep, 6-5. The highlight of the series was Bryan Warzek's dominant 8-inning, 16-strikeout performance in the middle game. Now the Bucs head to Beaumont with another sweep on their minds against last-place Lamar. The road trip will conclude after that with another midweek game uptown against Tulane and a game in Baton Rouge at Southern.